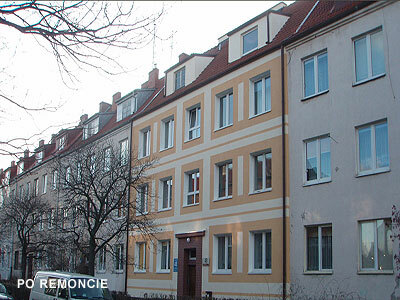 Bimon Ltd was set up in 2000 as a company directed on the service of the developing housing market in Poland. Since the beginning we have employed professionals at all fields connected with the developing housing market. Our employees have the license of housing administrators, estate assessing powers (property appraisers), building and the line of business rights. Furthermore we cooperate with many professionals who are indispensable in service of entrusted properties. The cooperation with the lawyers specialized in the service and trade of properties is also not irrelevant. Each of our customers is treated individually; after assessing the needs and possibilities of our contractor, we are able to present the collaboration plan. The signing an agreement of properties' management (or at any other fields which parties are interested in) is the result of common arrangements and needs. Since the beginning of business activity in the Management of Residential Estate section, we have provided services in the sphere of estate management in favour of Residential Communities on the area of Gdańsk. By presenting You our offer, we want to encourage the owners of estates and Residential Communities to cooperate with us. We are ready to cooperate in the matter of the management of Your estate. In the range of our activity there are properties of physical people, Residential Communities as well as businessmen expecting the professional service of their estates. The section of commercial estates handling is aimed mostly at the businessmen both national and foreign, wanting to entrusted their properties to the professional company dealing with the estate management. The fulfillment of our clients' needs is our main goal. The careful management directed to profits should be the prelude to the beginning of discussion leading to complete of finalizing the agreement concerning management of Your estate. Contact us! Our offer is more attractive than the others. It is the opportunity for You and us.